Tropical, the local beer of Gran Canaria has launched a wonderful campaign to support a local dog pound and educate people about abandoning their pets. The Albergue de Bañaderos (pound) and other animal charities are regularly full to capacity with unwanted dogs and cats, and the volunteers work tirelessly towards rehoming the animals and caring for them whilst there. 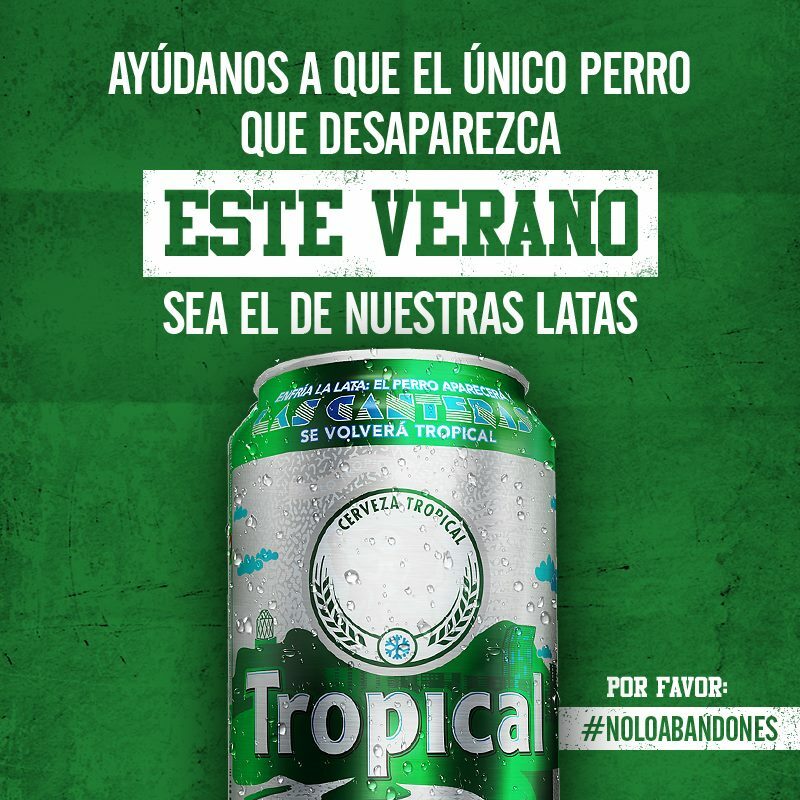 Tropical came up with the slogan "queremos que el único perro que desaparezca este verano sea el de nuestras latas" translated "We only want the dog on our cans to disappear this year" referring to the high level of abandoned animals during the summer holiday period and the feature on their cans, where the Canarian dog disappears when the beer is at the perfect temperature. The hashtag #NoLoAbandones (do not abandon) is trending here in Gran Canaria, hopefully it will spread the message far and wide. A lot more education needs to take place about the responsibilities of pet ownership and more regulation and controls put in place to reduce the cruel abandonment of so many animals. Also, while so many animals are in need of a home, more regulation should be placed on breeding until the situation is back under control. Well done Cerveza Tropical and all of the hard working animal protectors out there, this is a very positive step in the right direction. If you are considering adopting a cat or dog, be sure to visit the Albergue before you go to a pet shop or buy from a breeder. It will open your eyes to what happens when the pet is abandoned and also you are sure to fall in love with one there. These animals are desperate for love and family to call their own. If you are not able to offer a home, you can also help by making a donation to the Albergue or other charity. Your Turn For A Bath Human.